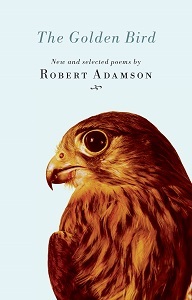 The Golden Bird brings together the best of Robert Adamson’s work from the last four decades, as well as many superb new poems. Selected and arranged by the author, it provides an accessible introduction to Australia’s foremost lyric poet and an insight into the recurring themes that have shaped his remarkable body of work. Robert Adamson was born in Sydney in 1943 and grew up in Neutral Bay and on the Hawkesbury River, New South Wales. From 1970 to 1985 he edited Australia’s New Poetry magazine, and in 1988, with Juno Gemes, he established Paper Bark Press, one of Australia’s leading poetry publishers. He is the inaugural CAL chair of poetry at UTS (University of Technology, Sydney). In 2011 he was awarded the Patrick White Prize and the Blake Prize for Poetry. His many award-winning publications include an autobiography, Inside Out (2004), two books of autobiographical fiction, and nearly 20 books of poetry, including Reading the River: Selected Poems (2004) and The Kingfisher’s Soul (2009). His latest Australian publication is The Golden Bird: New & Selected Poems (2008).